Author Name Dale Morgan, ed. 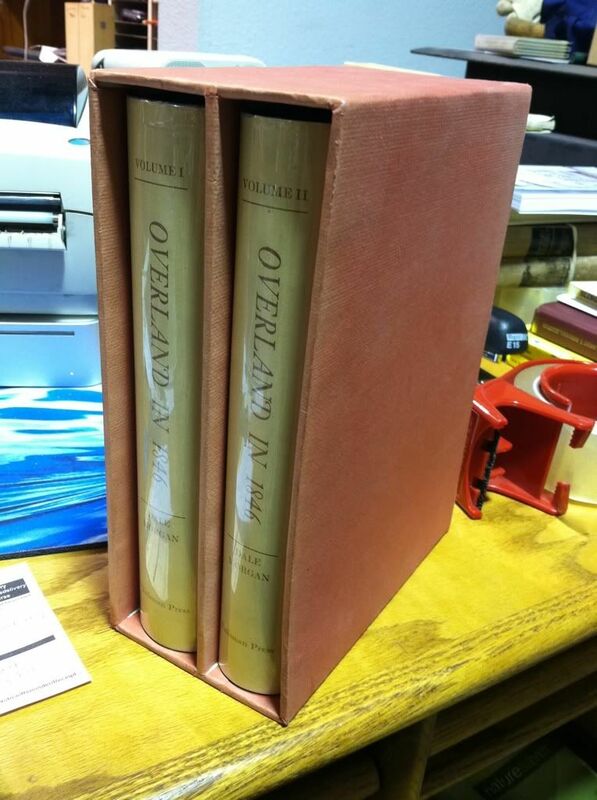 Title Overland In 1846: Diaries And Letters Of The California-Oregon Letters by Dale Morgan, ed. Very good in very good dust jacket. ~books in custom slipcase, clean text, tight binding, light wear to exterior, edges and corners of box, but barely noticeable on this beautiful two volume set. 825 p. Association copy in a custom slipcase, signed to Miss Grace Nicholson by Peter Gates, the wealthy timber magnate and explorer of the Southwest whom this expedition was undertaken in part by. Green cloth over boards with red leather label and gold gilt lettering on spine, top edge of pages gilt, few tiny discoloration spots to endpages, clean text, tight binding, some wear to edges and corners of book and slipcase, front cover blind-stamped. We have a rather large collection of Western Americana that we acquired from one John Brunt of Walla Walla, Washington. Brunt owned and operated a bookstore in Glendale, CA for many years, crafting beautiful custom slipcases for many of the books in his Western Americana collection numbering nearly a thousand titles. We have more of his books available for avid collectors! 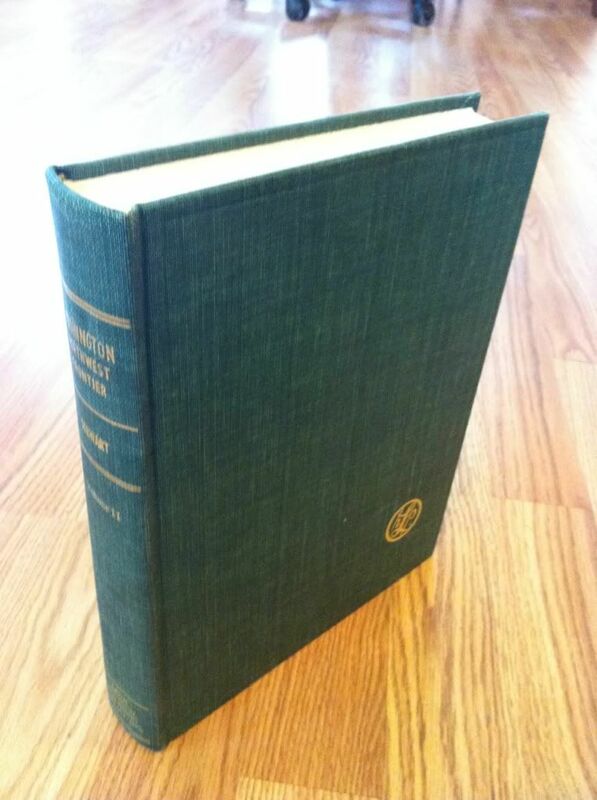 Washington: Northwest Frontier-Volume II by Stewart, Edgar I.